Name any Italian city, a detailed wish list for art, architecture and events naturally pops-up in your head, and Florence is no different. How many times, though, can one see the statue of David, visit the Duomo or shop at the Ponte Vecchio? But don’t worry, because Florence offers much more than its signature art and architecture. Here are some suggestions, packed in a convenient pre-planned weekend package, designed to satisfy all of your senses. You’ve woken up after a night of wine tasting, had breakfast and are currently looking for a slow start to your day. The best way to get an initial feel for the city is often to wander its streets, whether by foot, on a bicycle or in an open top bus, and for most cities that would do. But, in order to break into the local mindset, go full Italian and drive a true automotive icon – Ferrari. One of the most recognizable Italian brands is producing, some might say, the best sports cars in the world, for almost 80 years. And it never disappoints its fans. There is nothing like the feel of the engine of the Prancing Horse confidently purring underneath your fingertips. 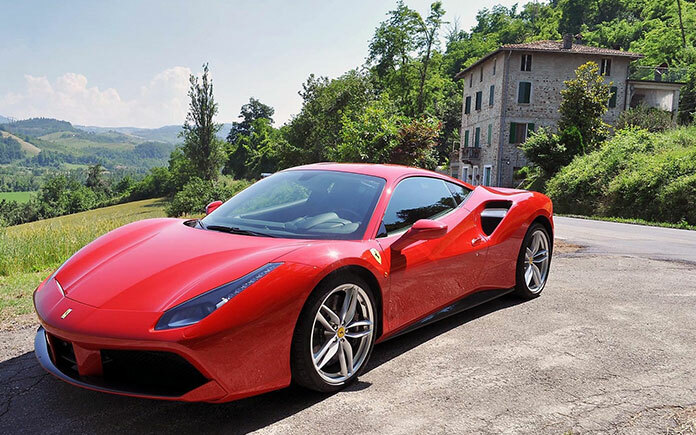 Our choice for Florence is 488 GBT Fiorano Spyder. You can check Lurento.com and find one that fits your style. Having felt the Florentine roads and seen its beauty, it is now time to taste it. One can hardly go wrong with Italian cousin, and Florence offers a number excellent restaurants. 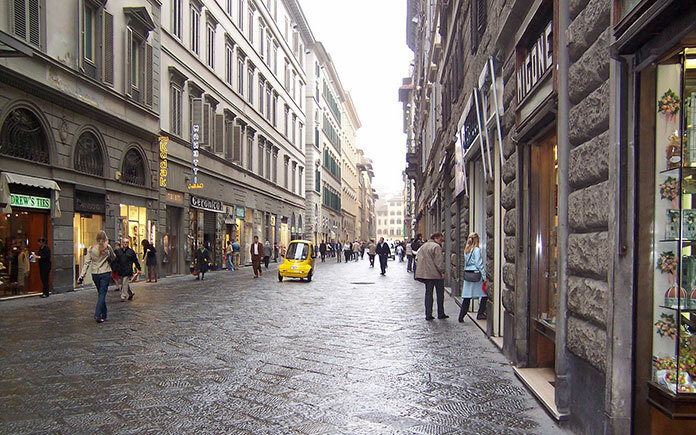 This being Tuscany, however, one could hardly blame us for opting for truffles at the historical Procacci shop. Founded in 1885, and becoming the royal supplier of truffles soon afterwards, it has become a mainstay of the city’s gastronomic heritage. Have one of their many delicacies and enjoy it with a glass of wine. But don’t stay too long, Florence has much more in store for you. We are now about half-way to experiencing Florence, but there is no time to waste, and we offer three choice destinations, each evocative of another aspect of Italian style. Firstly, fashion. Take yourself to the Scuola del Cuoio and watch the artists at work. The famous leather school was created in 1950 as a place for the less fortunate members of society (from war orphans to former prisoners) to learn leathercraft, in a collaboration between Franciscan monks (the school is housed in a wing of the old Franciscan monastery) and two famous artisan families, the Gori and the Casini, and they count royal families and classic films starts like Audrey Hepburn and Grace Kelly as their customers. It would be a disservice to talk about fashion in Florence without mentioning Gucci. The brand is built on the same traditions as the Scuola del Cuoio, and its style has made it famous worldwide. 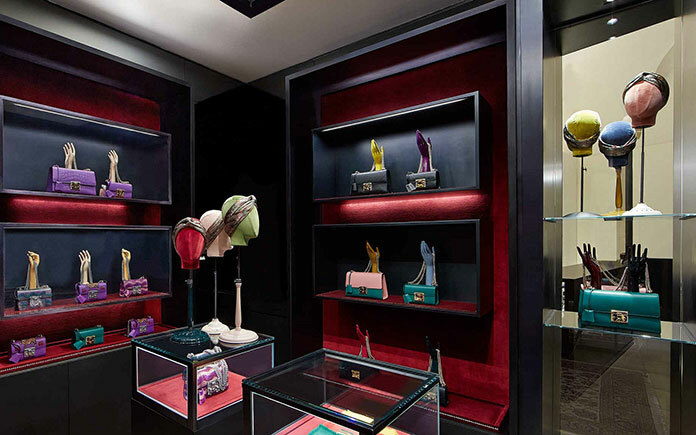 Housed in the Palazzo della Mercanzia, overlooking the Piazza della Signorina, sits the Gucci Museum, home to almost a century of work in bringing Italian fashion to the forefront of the world’s fashion industry. If you’re into fashion, the Gucci Museum is a must. Lastly, the Aqua Flor perfume shop, where you can buy a luxury perfume developed and created in their onsite laboratories. 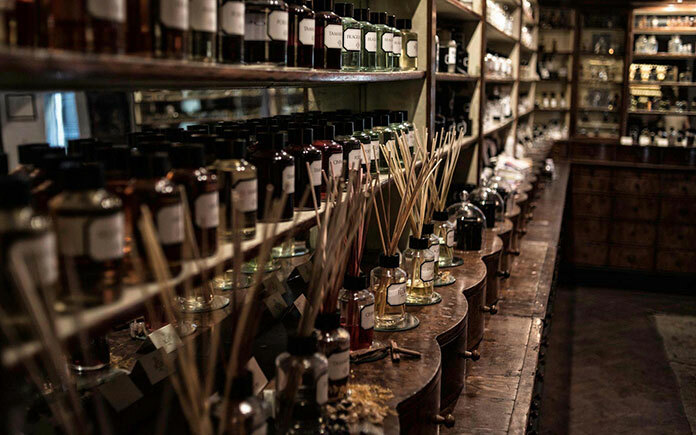 You can even have them create a unique scent only for you, or take classes in perfumery. It is now evening, and we only have one more location to visit in order to fully sate our sensual visit. Florence is famously the birthplace of the opera, and, accordingly, has a large number of theatres devoted to it. We suggest heading out to the Teatro Comunale di Firenze (from your author’s personal experience) for a culturally uplifting evening. But remember to pre-book your tickets well in advance, they will be impossible to find later on. We leave a day of intense cultural workout behind us and turn to a more everyday kind. Time to head to Piazza Santa Croce for some Calcio Storico Fiorentino. Well, only if you are in Florence in July. 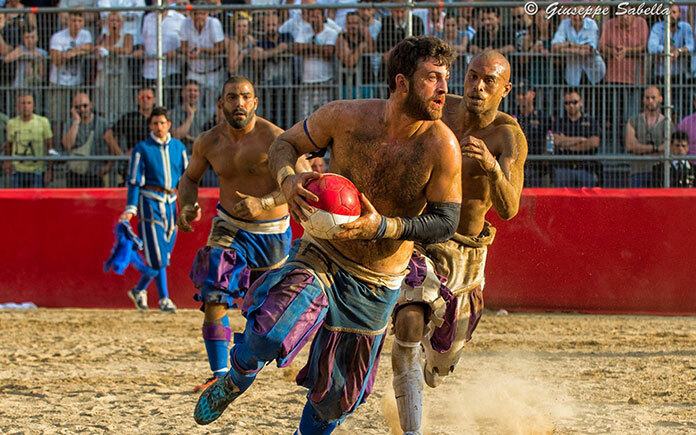 Calcio Storico Fiorentino, an early form of football, was created in the 16th century, and is a combination of what is today football, rugby and wrestling. During the first weekend of July, four teams from historical neighborhoods meet to play each other in the semifinals of the event, and the winners go on to play in the finals on the 24th of July. In the evening after the finals, there is a traditional fireworks display that takes the breath out of anyone who hadn’t already lost it playing the game. It becomes, at times, a full contact sport. But sports can leave you hungry. 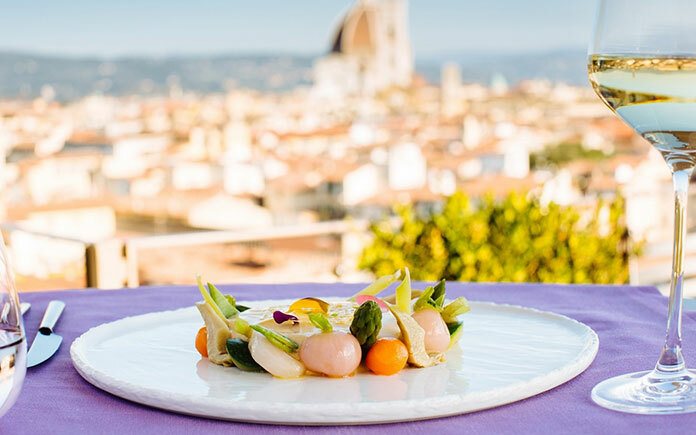 For lunch, head over to the SESTO on Arno restaurant, located on the rooftop of the Westin Excelsior hotel in Florence. It offers great food, amazing wine, and a panoramic view of Florence that will make you regret having to leave the city behind. But not to worry, because our final location will make it all better. It is time for a gelato! There are many great gelaterias in Florence, and you really can’t go wrong picking one at random. We have, however, found two especially delicious, the Gelateria la Carraia, near the Ponte alla Carraia, on the Oltrarno side, and the Grom, at the Via del Campanile, near the Duomo. Florence may be hard to leave, but a gelato will keep your memories sweet until you return.